Skeeter supports our country’s vast fisheries by promoting “catch and release,” and is committed to preserving the environment in our manufacturing practices. 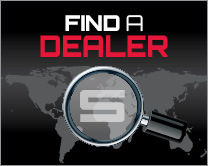 At Skeeter, we continually strive to improve and enhance specifications without notice. 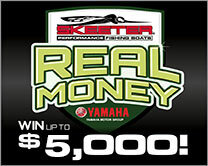 Please confirm with your Skeeter dealer prior to purchase. Specifications and measurements are approximations and subject to variances. Follow all instructional materials and local and federal laws. Always wear recommended protective apparel. Operate within your capabilities, allowing extra time and distance for maneuvering. Always operate in a responsible manner, respecting the environment and others around you. Don’t drink alcohol or use drugs and then operate your boat. Boat smart from the start. 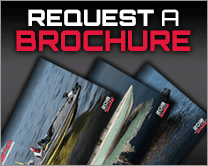 Take a boating safety course and get a free vessel safety check annually for your boat. For more information, contact the United States Coast Guard Auxiliary at 800-368-5647 or cgaux.org, or the United States Power Squadrons at 888-FOR-USPS or usps.org. 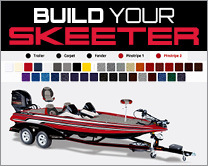 Skeeter reserves the right to change specifications without notice. Skeeter is pleased to participate in the Discover Boating® program which helps introduce people to the boating lifestyle and to help them find the boat that is right for them. Visit DiscoverBoating.com to learn more.